Too much going on today! My mom is here! It’s nice! And, I went to help out a sick friend. Less nice but I’m glad I could be helpful. And I worked 8 hours at least. Busy busy busy busy. I’m so done! 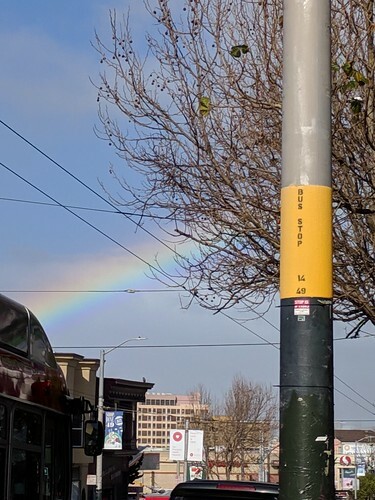 Here, have a picture I took of a rainbow over Mission Street, next to a bus stop. It has come to this. 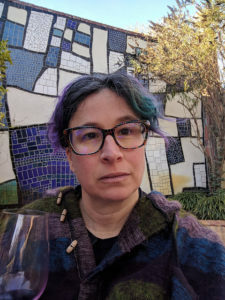 I’m hot-linking photos.